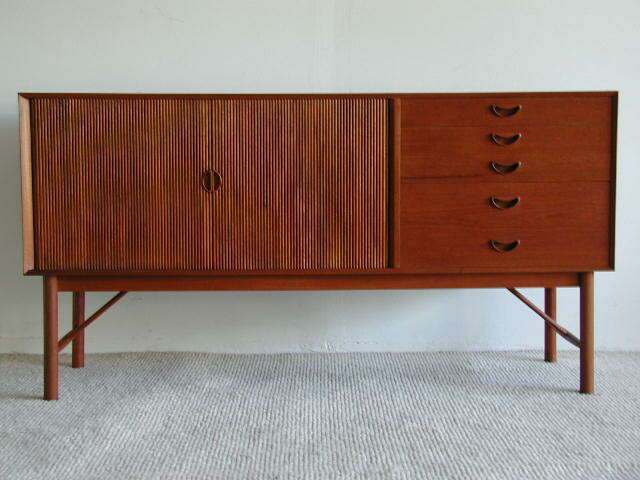 Certainly one of the most attractive of all Danish Modern credenzas. Double Tambor doors sweep across two thirds of the front and 5 drawers. Beautiful finger joints on the edges. More photos on request.